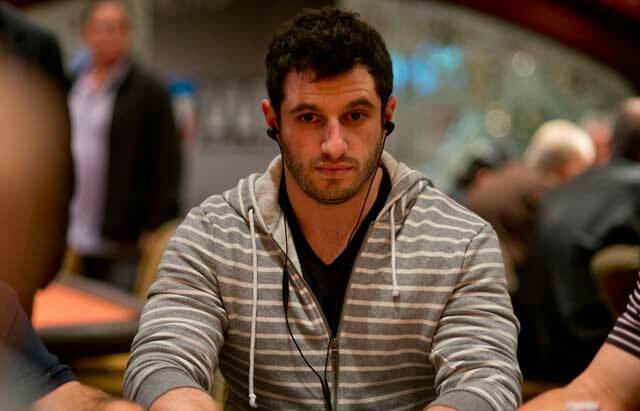 Run It Once founder Phil Galfond shows one of the first glimpses at his upcoming new online poker site. The highly-anticipated Run It Once online poker room has taken another step closer to getting a full public release. This week, Run It Once founder Phil Galfond provided another update on improvements to the client, thanks a sneak peek at what playing at RIO will look like when players finally get the opportunity to play on the newest addition to the online poker market. Galfond posted a new video to the Run It Once YouTube channel. In the video, which can be seen below, Galfond takes the viewer into the client and through the process of selecting a dynamic avatar, buying-in to a cash game and selecting the number tables. At launch, based on user feedback, Run It Once will have a six-table cash game cap. In fact, much of what Galfond shows are updates to both graphics and the interface based on feedback from countless hours of beta testing. The current crop of beta testers has been the majority of the Run It Once staff as well as a select number of players all of whom have been able to play real money poker on the client since April. “Really, the majority of the beta feedback we’ve received so far has been positive,” Galfond said. Small changes that Galfond says have made their way into the software include larger avatars and improved color tagging to indicate thoughts on players. He mentions that his developers are continuing to make the site more responsive including working on improving the bet slider and option buttons. “We’re getting to the point now where, while there are still a lot of known bugs and we’re working on them, they’re fewer and further between,” Galfond said. Galfond realized that he has, on a few occasions, attempted to predict when the official launch of the Run It Once online poker site will be, each time slightly miscalculating. Galfond then announced that the private real money beta will also be getting a boost. By September 13, Run It Once will be looking to add another 1000 players to the worldwide beta. The development team is mostly looking for players who will provide feedback on how it feels to play on the software. Depending on that feedback, the scale of the beta may increase in both players and uptime. One of the tougher parts of developing for the Run It Once team seems to be making the decisions between perfecting current features and implementing new ones. Galfond, calling himself a perfectionist, looks to address every aspect of gameplay to maximize both the feel of the software and the flow of the game. Some of the newer developments shown off in the video include updated graphics on the back and front of the decks, a chat system that includes emojis and canned phrases, as well as when a players time bank becomes active. Gal fond acknowledges that while the company is eager to get the software in a place where it’s ready for everyone to play on, that the hard work doesn’t stop there. “When we get this to the state that we’re happy to launch with, it doesn’t mean that we’re done,” Galfond said. Players interested in taking part and providing feedback can register at runitonce.eu. Players will be picked at random.